To Cite: Mohammad Nejad A A , Shayestehpour M, Romani B , Mozaffari Namin B , Ahmadi Vasmehjani A, et al. A Rare Case of Pneumococcal and Meningococcal Mixed Meningitis in an Infant with Cardiac Dysfunction, Arch Clin Infect Dis. 2018 ; 13(6):e65270. doi: 10.5812/archcid.65270. Meningitis is commonly caused by a viral, bacterial, fungal, or parasitic infection that involves the cerebrospinal fluid (CSF) and leads to inflammation of the protective membranes covering the brain and spinal cord. Among bacterial pathogens responsible for meningitis, Streptococcus pneumoniae is notorious for causing more than 50% of all cases of bacterial meningitis. Neisseria meningitis is also a major cause of bacterial meningitis. Here, we report a rare case of a 13-month-old infant with cardiac dysfunction associated with meningitis caused by co-infection with Streptococcus pneumoniae and Neisseria meningitides. Cardiac dysfunction is a condition where the heart pumping becomes less effective and the heart cannot pump sufficient blood to meet the body's needs. Bacteria were isolated by culture and detected by polymerase chain reaction (PCR) on CSF. The patient was treated with vancomycin, ceftriaxone, and rifampin followed by three months of follow-up without any clinical symptoms. This raises the possibility of finding other cases of mixed neonatal meningitis in the future since the incidence of meningitis is currently increasing in the region. Copyright © 2018, Archives of Clinical Infectious Diseases. This is an open-access article distributed under the terms of the Creative Commons Attribution-NonCommercial 4.0 International License (http://creativecommons.org/licenses/by-nc/4.0/) which permits copy and redistribute the material just in noncommercial usages, provided the original work is properly cited. N. meningitis and S. pneumoniae are the major causes of bacterial meningitis. There are actually five types of meningitis including bacterial, viral, parasitic, fungal, and non-infectious each categorized based on the etiology of the disease. Common causes of bacterial meningitis differ by age group as follows: newborns: Group B Streptococcus, Streptococcus pneumoniae, Listeria monocytogenes, and Escherichia coli; toddlers and children: Streptococcus pneumoniae, Neisseria meningitides, Haemophilus influenza type b (Hib), and group B Streptococcus; older adults: Streptococcus pneumoniae, Neisseria meningitides, Haemophilus influenza type b, group B Streptococcus, and Listeria monocytogenes; and teens and young adults: Neisseria meningitides and Streptococcus pneumoniae (1). While S. pneumoniae causes more than 50% of cases of bacterial meningitis, N. meningitides is an endemic pathogen with the infection rate of 1 - 12 per 100,000 people (2). Data show that the epidemiology of meningitis has considerably changed, while S. pneumoniae is still the most common cause of bacterial meningitis in infants, children, and adults. However, infection with S. pneumoniae has now been controlled in the developed countries due to successful vaccination strategies (1). On the other hand, pneumococci have been reported to be among the most important causes of bacterial meningitis in the US and Europe. The incidence rate of the disease varies between 1.1 and 2 in 100,000 cases per year in the US and Western Europe and up to 12 in 100,000 people per year in Africa (3, 4). In Iran, the incidence rates of S. pneumoniae infection in children under 10 years of age and individuals aged more than 10 years old were 36% (95% CI; 31 - 40) and 20% (95% CI; 13 - 27), respectively (5). Nonetheless, there is an important dissimilarity in the prevalence of these two sub-groups. The high prevalence rate of S. pneumoniae in Iran is troubling due to the appearance of drug resistant strains, particularly those resistant to third-generation cephalosporins and penicillin (5). Meningococci cause acute diseases in children, elderlies, splenectomised patients, and those with malnutrition or sickle cell disease (6). The reason for the increasing incidence of meningococcal diseases is the rising prevalence of S. pneumoniae strains resistant to multiple antibiotics (7). We report a rare case of an infant with cardiac dysfunction and meningitis caused by S. pneumoniae and N. meningitides in Iran. A 13-month-old infant from western Tehran with no history of meningococcal polysaccharide vaccination was hospitalised due to cardiac dysfunction (congestive heart failure). The patient presented with fever, frequent vomiting, cough, and diarrhoea with a normal level of consciousness. On physical examination, pharyngitis, and neck stiffness were observed. The patient had normal immune system and no immune system dysfunction was observed. The baby had several small purple lesions in the upper and lower limbs and in the trunk region, but there were no clinical symptoms in the eyes or ears. The patient was hospitalised in intensive care unit (ICU) because of sepsis or meningitis. Lumbar puncture was performed for diagnostic tests, and blood was collected for general and special laboratory examinations. Laboratory results showed white blood cell count of 18000/mm3 composed of 72% neutrophils, 20% lymphocytes, 5% monocytes, 3% eosinophils, and total protein was 68 mg/dL and C-reactive protein was 160.5 mg/L. The level of glucose in CSF was 35 mg/dL. CSF was macroscopically colourless and semi-clear. In CSF, WBC count was 23,500 WBC/mm3. Gram staining of CSF was also performed and showed very rare gram-positive cocci and gram-negative diplococci. CSF was then cultured on Trypticase soy agar and broth (Biomed, France) and blood-chocolate agar, and then it was incubated at 37°C with 5% CO2. Cultures of CSF demonstrated mixed growth of oxidase-positive, gram-negative diplococci, and catalase-negative, gram-positive cocci. The two organisms were further detected as N. meningitides and S. pneumoniae. The S. pneumoniae isolate was recognised on the basis of an 18-mm diameter inhibitory zone around the optochin disk (BBL Taxo discs; Becton Dickinson Company, Sparks, MD) after incubation in a CO2-enriched atmosphere. This detection was confirmed by using a polymerase chain reaction (PCR) test. Based on the initial results and possibility of susceptibility to penicillin, empirical therapy was started with ceftriaxone (100 mg/kg of body weight/day) and vancomycin (128 mg 8 hourly). Further confirmation for S. pneumonia and N. meningitidis was obtained by antibiogram test (Optochin) and PCR (Figures 1 and 2) (8, 9). Optochin disk test showed an 18-mm-diameter inhibition zone (5 ug/disk) on optochin (Becton Dickinson, Sparks, Mass). Antimicrobial susceptibility was determined by minimum inhibitory concentration (MIC) and disk diffusion methods using Mueller-Hinton agar (Himedia) supplemented with 5% sheep blood. We used pure culture of chocolate agar with inoculum corrected to 0.5 McFarland standards. Test condition was based on Clinical and Laboratory Standards Institute (CLSI). S. pneumoniae ATCC 49619 and Escherichia coli ATCC 25922 were used as controls. Susceptibility tests indicated that the isolated bacteria were susceptible to oxacillin, vancomycin, gentamicin, erythromycin, rifampicin, clindamycin, and doxycycline, but resistant to penicillin (MIC, 4 mg/L), ceftriaxone (2 mg/L), and cefotaxime (2 mg/L). Adding the rifampin to the therapeutic regimen resulted in the significant clinical improvement. Then, the patient was discharged. The patient’s follow-up showed no further clinical symptoms. Written informed consent was obtained from the patient’s mother for publication of this case report. The first case of meningitis caused by two or more bacterial infections was reported in the 1900s (10). The majority of the reported cases of meningitis till 1950 were caused by S. pneumoniae, N. meningitides, H. influenza type b, and Branhamella catarrhalis (10). There are several factors that can increase the risk of bacterial meningitis including age, community health care settings, medical conditions, working with meningitis pathogens, and travel. On the other hand, in one-third of patients with bacterial meningitis, there are predisposing conditions such as immunodeficiency. Splenectomy, alcoholism, HIV, diabetes mellitus, cancer, or the use of immunosuppressive medications are the known risk factors related to invasive bacterial infections, including meningitis (4, 11, 12). For example, one of the most common organisms causing bacterial meningitis in immunocompromised patients is S. pneumoniae, although patients with specific risk factors could also be exposed to pathogenic organisms (13). Susceptibility to meningitis is particularly raised in patients with leukaemia and lymphoma; one-fourth of all central nervous system infections in cancer patients occur in this group. Patients with cancer, who have recently experienced neurosurgery, are also at risk for meningitis (14). Dysfunction or removal of the spleen render people susceptible to infections with encapsulated bacteria such as S. pneumoniae and Haemophilus influenzae. Hyposplenism and splenectomy are two unusual risk factors for bacterial meningitis associated with a high rate of mortality (15). Based on the normal immune system in this patient, the possibility of defects in the immune system was rejected (6). In this case, age, neglect, and cardiac dysfunction may be considered the important risk factors in developing this mixed meningitis. This was the first study in Iran that reported S. pneumoniae and N. meningitides isolated from a patient with cardiac dysfunction. In this case, although antibiotics were administrated (ceftriaxone), treatment delay and antibiotic resistance were the main issues in response to treatment. This could be because of incorrect and irregular use of antibiotics by private and/or government clinicians in Iran. In this study, rash were noted in the patient without necrosis of the skin or purpura fulminans. In severe cases, rash may rapidly develop into petechiae, purpura fulminans, and necrosis of the skin and underlying tissues with thrombosis (16). In this patient, CSF pleocytosis was not seen while the absence of CSF pleocytosis in invasive meningococcal disease (IMD) has been linked to an increased risk of death. Examination of the CSF WBC count is one of the important tools for the assessment of an infant with suspected CNS infection. However, mild pleocytosis can be observed in symptomatic infants without CNS infection. Lack of CSF pleocytosis can represent a prognostic factor (17). In the patient reported here, rifampin plus vancomycin did not cause major changes in the activity of either drug alone, but it was more effective than ceftriaxone. This case represents a physical disability that can increase the risk of meningitis. Due to the increasing emergence of penicillin-resistant pneumococci and the increasing clinical failure of cephalosporins, a change in treatment for S. pneumoniae was recommended by the Clinical and Laboratory Standards Institute in 2015 (18). Currently, ceftriaxone or cefotaxime with vancomycin are recommended as the first-line regimens for empirical treatment of S. pneumonia meningitis (7, 19). The major antibiotics in our study were rifampin and vancomycin. Due to the increased rate of penicillin resistance, cephalosporins and third-generation cephalosporins such as ceftriaxone are currently considered a good choice for the initial therapy against N. meningitidis and S. pneumoniae (7, 19, 20). However, in this study, due to bacterial resistance, ceftriaxone was ineffective against meningitis and the treatment was therefore switched to rifampin and vancomycin. Hypoglycaemia has rarely been linked to severe infection, except in cases of malaria and shigellosis. There are a few case reports on the occurrence severe sepsis caused by the encapsulated bacteria, including Streptococcus pneumoniae, Haemophilus influenzae, and Neisseria meningitidis (21). Hypoglycaemia in meningitis increases the risk of complications such as seizure and brain damage (22, 23). It has therefore been recommended that in addition to other laboratory examinations, blood sugar must be checked. Molecular techniques are useful for distinguishing between bacteria. In this study, all methods including a molecular method (PCR) and examinations for accurate and rapid bacterial diagnosis were adopted. In sum, meningitis is usually caused by single infection with S. pneumoniae, N. meningitides, or H. influenza. However, we reported an exceptional case of meningitis caused by S. pneumonia and N. meningitides with cardiac dysfunction. This study was performed in the Faculty of Medicine, Tehran University of Medical Sciences. 1. Centers for Disease Control and Prevention. Bacterial meningitis. Atlanta, USA: CDC; 2017, [cited January 25]. Available from: https://www.cdc.gov/meningitis/bacterial.html. 2. Diallo AO, Soeters HM, Yameogo I, Sawadogo G, Aké F, Lingani C, et al. Bacterial meningitis epidemiology and return of Neisseria meningitidis serogroup A cases in Burkina Faso in the five years following MenAfriVac mass vaccination campaign. PLoS One. 2017;12(11). e0187466. doi: 10.1371/journal.pone.0187466. [PubMed: 29095907]. [PubMed Central: PMC5667755]. 3. Abdullahi O, Karani A, Tigoi CC, Mugo D, Kungu S, Wanjiru E, et al. The prevalence and risk factors for pneumococcal colonization of the nasopharynx among children in Kilifi District, Kenya. PLoS One. 2012;7(2). e30787. doi: 10.1371/journal.pone.0030787. [PubMed: 22363489]. [PubMed Central: PMC3282706]. 4. Brouwer MC, Tunkel AR, van de Beek D. Epidemiology, diagnosis, and antimicrobial treatment of acute bacterial meningitis. Clin Microbiol Rev. 2010;23(3):467-92. doi: 10.1128/CMR.00070-09. [PubMed: 20610819]. [PubMed Central: PMC2901656]. 5. Houri H, Pormohammad A, Riahi SM, Nasiri MJ, Fallah F, Dabiri H, et al. Acute bacterial meningitis in Iran: Systematic review and meta-analysis. PLoS One. 2017;12(2). e0169617. doi: 10.1371/journal.pone.0169617. [PubMed: 28170400]. [PubMed Central: PMC5295700]. 6. Revest M, Michelet C. [Predisposing factors of community acquired bacterial meningitis (excluding neonates)]. Med Mal Infect. 2009;39(7-8):562-71. French. doi: 10.1016/j.medmal.2009.02.029. [PubMed: 19419829]. 7. Musher DM, Daniel JS, Bond S. Resistance of Streptococcus pneumoniae to beta-lactam antibiotics. Waltham, MA: UpToDate Inc; 2017, [cited July 10, 2015]. Available from: https://www.uptodate.com/contents/resistance-of-streptococcus-pneumoniae-to-beta-lactam-antibiotics. 8. Mora AM, Abdel-Kader NM, Maklad SS. 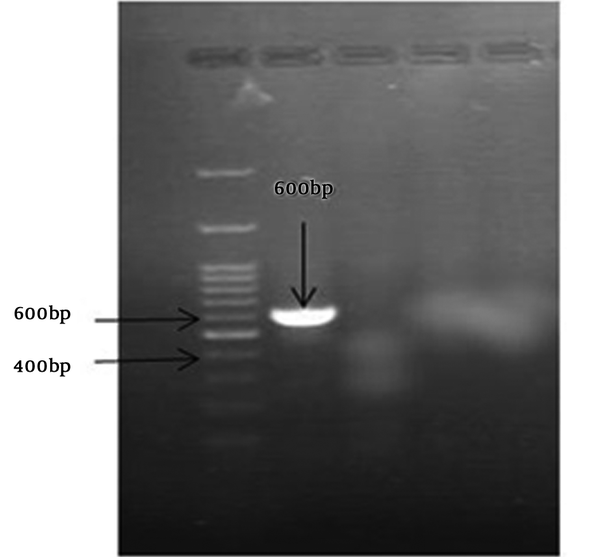 Detection of Neisseria meningitidis DNA in blood samples using direct-PCR test. Egypt Pharmaceut J. 2013;12(2):115-9. doi: 10.4103/1687-4315.124005. 9. Murdoch DR, Anderson TP, Beynon KA, Chua A, Fleming AM, Laing RT, et al. Evaluation of a PCR assay for detection of Streptococcus pneumoniae in respiratory and nonrespiratory samples from adults with community-acquired pneumonia. J Clin Microbiol. 2003;41(1):63-6. [PubMed: 12517826]. [PubMed Central: PMC149569]. 10. Mufson MA, Stanek RJ. Bacteremic pneumococcal pneumonia in one American city: A 20-year longitudinal study, 1978-1997. Am J Med. 1999;107(1A):34S-43S. [PubMed: 10451007]. 11. Federico G, Tumbarello M, Spanu T, Rosell R, Iacoangeli M, Scerrati M, et al. Risk factors and prognostic indicators of bacterial meningitis in a cohort of 3580 postneurosurgical patients. Scand J Infect Dis. 2001;33(7):533-7. [PubMed: 11515765]. 12. van de Beek D, de Gans J, Spanjaard L, Weisfelt M, Reitsma JB, Vermeulen M. Clinical features and prognostic factors in adults with bacterial meningitis. N Engl J Med. 2004;351(18):1849-59. doi: 10.1056/NEJMoa040845. [PubMed: 15509818]. 13. Sigurdardottir B, Bjornsson OM, Jonsdottir KE, Erlendsdottir H, Gudmundsson S. Acute bacterial meningitis in adults. A 20-year overview. Arch Intern Med. 1997;157(4):425-30. [PubMed: 9046894]. 14. Klee GG, Tallman RD, Goellner JR, Yanagihara T. Elevation of carcinoembryonic antigen in cerebrospinal fluid among patients with meningeal carcinomatosis. Mayo Clin Proc. 1986;61(1):9-13. [PubMed: 3510343]. 15. Adriani KS, Brouwer MC, van der Ende A, van de Beek D. Bacterial meningitis in adults after splenectomy and hyposplenic states. Mayo Clin Proc. 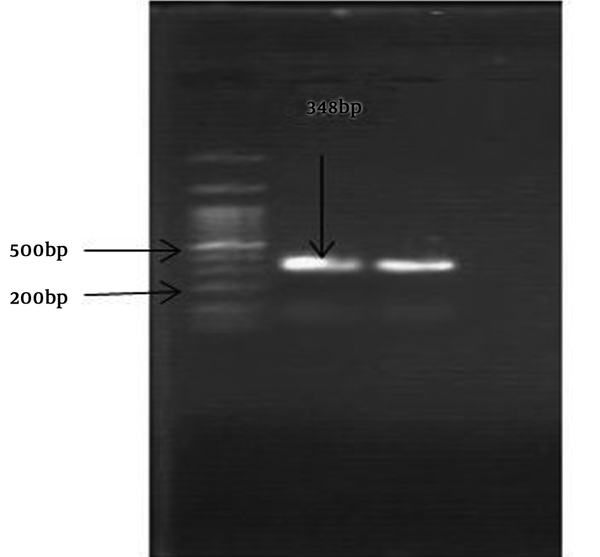 2013;88(6):571-8. doi: 10.1016/j.mayocp.2013.02.009. [PubMed: 23628588]. 16. Chatterjee S, Baer AN, Kontzialis M, Aggarwal NR, Gelber AC. Searching for the source: Bacteremia with marked cerebrospinal fluid pleocytosis. Am J Med. 2016;129(1):44-7. doi: 10.1016/j.amjmed.2015.08.005. [PubMed: 26302143]. 17. Martin-Ancel A, Garcia-Alix A, Salas S, Del Castillo F, Cabanas F, Quero J. Cerebrospinal fluid leucocyte counts in healthy neonates. Arch Dis Child Fetal Neonatal Ed. 2006;91(5):F357-8. doi: 10.1136/adc.2005.082826. [PubMed: 16418305]. [PubMed Central: PMC2672840]. 18. Centers for Disease Control and Prevention. Drug Resistance. Atlanta, USA: CDC; 2017. Available from: https://www.cdc.gov/pneumococcal/drug-resistance.html. 19. Manchanda V, Bhalla P. Emergence of non-ceftriaxone-susceptible Neisseria meningitidis in India. J Clin Microbiol. 2006;44(11):4290-1. doi: 10.1128/JCM.01903-06. [PubMed: 17005740]. [PubMed Central: PMC1698303]. 20. Bretonnière C, Jozwiak M, Girault C, Beuret P, Trouillet JL, Anguel N, et al. Rifampin use in acute community-acquired meningitis in intensive care units: the French retrospective cohort ACAM-ICU study. Crit Care. 2015;19:303. doi: 10.1186/s13054-015-1021-7. [PubMed: 26306393]. [PubMed Central: PMC4549935]. 21. van de Beek D, de Gans J, Tunkel AR, Wijdicks EF. Community-acquired bacterial meningitis in adults. N Engl J Med. 2006;354(1):44-53. doi: 10.1056/NEJMra052116. [PubMed: 16394301]. 22. Hoffman O, Weber RJ. Pathophysiology and treatment of bacterial meningitis. Ther Adv Neurol Disord. 2009;2(6):1-7. doi: 10.1177/1756285609337975. [PubMed: 21180625]. [PubMed Central: PMC3002609]. 23. Schut ES, Westendorp WF, de Gans J, Kruyt ND, Spanjaard L, Reitsma JB, et al. Hyperglycemia in bacterial meningitis: A prospective cohort study. BMC Infect Dis. 2009;9:57. doi: 10.1186/1471-2334-9-57. [PubMed: 19426501]. [PubMed Central: PMC2694198].